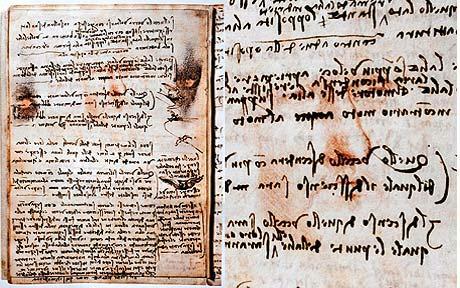 Last weekend, the discovery of what is claimed to be a new Leonardo drawing was announced on Italian TV. With the help of digital imaging, it has emerged from behind the text of the “Codex on the Flight of Birds”, held at Turin. The proud discoverers suggest that it is actually a partial self-portrait, citing its likeness with the famous so-called Self-Portrait of Leonardo (we actually do not know who it depicts), also at Turin. The likeness is striking and its appearance on an original a manuscript sure makes it sound bona fide. There is every reason to be sceptical, however. New “Leonardo” drawings pop up all the time, and when they are not derivations (contemporary or not so), they are often fakes. 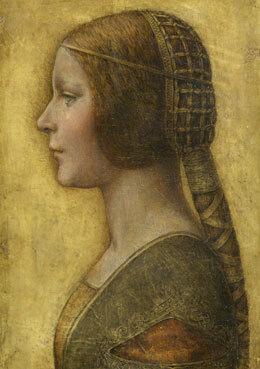 More than any other artist, Leonardo consistently attracts the insalubrious attention of fortune seekers. In the digital image circulated to the press, the sketch looks perhaps a little slick to this viewer, who is by no means a specialist, and the likeness with the Turin drawing is striking, isn’t it? On the other hand, I’ve just had the chance to hear somebody who is a specialist — Martin Kemp — present what is surely a much more significant find, a drawing that surfaced in a private collection last year; a coloured chalk drawing on the highly unusual support of vellum of a young woman seen in profile. 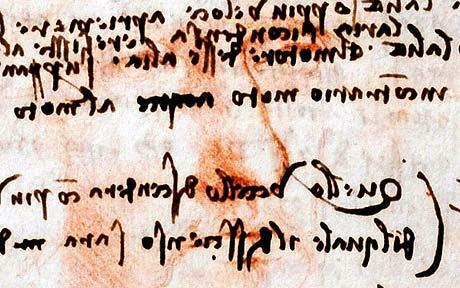 On first look, my instinct was that it looked too pretty, too perfect — and the fact that it seemingly has no known provenance only serves to make one more suspicious — but from the images showed it was obvious that it is a first-rate drawing, wonderfully textured through the delicately live left-handed strokes seen in Leonardo’s autograph work. And several reliable connoisseurs of drawing have come out in favour of it since its discovery. Almost too good, yet quite likely to be true.